Want to find homes for long stay pets? Get information and inspiration from our recorded huddles! As an added resource to help find long-stay pets home during the #GetEmHomeChallenge, we offered weekly huddles. These interactive meetings each begin with a 5 minute presentation on the specified topic, followed by Q and A.
Browse the recordings below and watch at your leisure! What prizes can your organization win during the Get 'Em Home Challenge? Dr. Sheila D'Arpino discusses the prize categories, grant amounts and more in this huddle. Are you interested in learning more about the required surveys and reporting required for the Get ‘Em Home Challenge? Dr. Sheila D’Arpino explains what you’ll need to do in this huddle. Whether you’re new to social media or a veritable pro, there’s something new for you in this week’s huddle. Kelly Duer will be discussing successful approaches to social media that can help all of the pets in your care find homes faster. Join us and bring questions! Can taking a dog out overnight make them more stressed than they were before? Dr. Lisa Gunter, who conducted groundbreaking research on sleepover foster at 5 organizations throughout the U.S., will have answers to this and your other questions about sleepover / weekend foster! Field trip programs can help organizations engage with their communities, get important information on dogs’ behavior in the real world, market their dogs for adoption and more! In this huddle, learn about new research on how field trips affect behavior in shelter dogs and where you can find the information you need to start or expand your program. Kristen Auerbach will be discussing techniques for marketing pets with long shelter stays and the important distinction between marketing and adoption counseling in this huddle. Come with questions! How can foster care be utilized to help your longest-stay pets find forever homes? 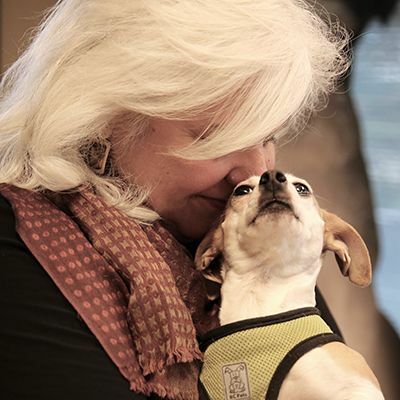 Dr. Sheila D’Arpino discusses the latest research, showing how you can shorten pets’ length of stay by getting them out of the shelter and into foster homes. Are your long stay cats aching for a forever home? Ann Dunn will be presenting on successful techniques for finding adopters for cats with long shelter stays, including seniors and those with special needs.